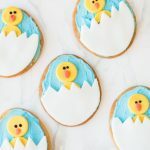 Inside: Celebrate spring and Easter with this adorable chick Easter cookie idea the kids will love! 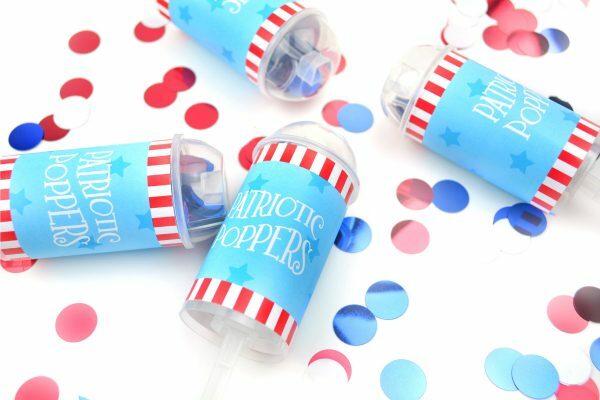 There are a few times a year when I like to give my kids an extra special treat. Most of those times are around holidays (like with these awesome St. Patrick’s Day cupcakes) and Easter is right around the corner! 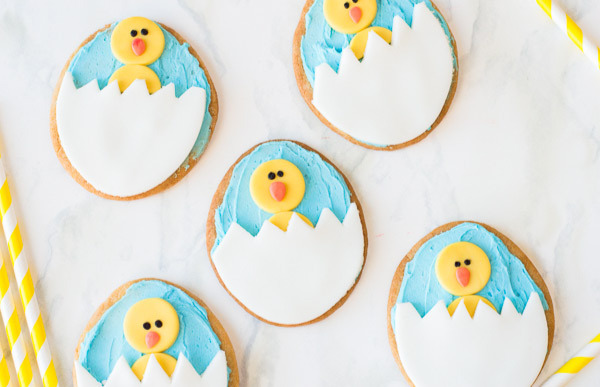 To celebrate the Easter season we’re sharing how to make these cute little Easter chick cookies. Even if you don’t make these for Easter, they’re perfect for spring time as well. 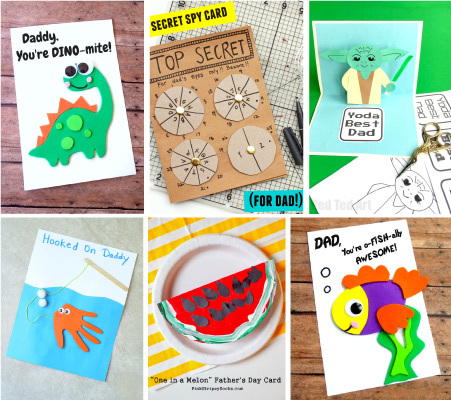 Read on below to see just how simple they are to make with the kiddos! 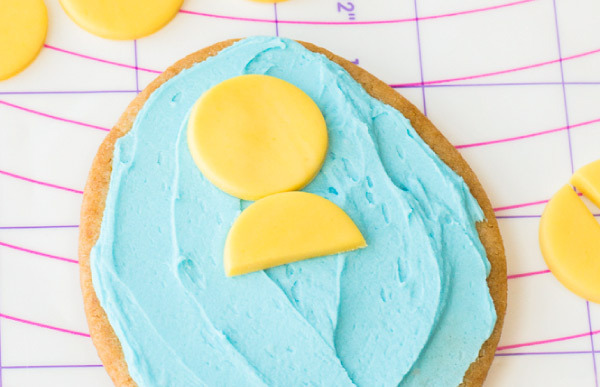 These Easter sugar cookies would be a perfect Sunday activity to do with the kids! 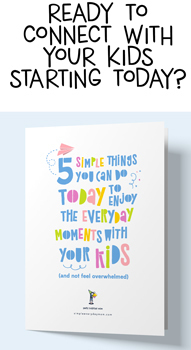 If you’re wondering how to make this activity easy enough for the littlest of children, don’t worry, I’ve got plenty of tips to include the whole family in this project. The age and skill level of your child will determine on how much they’ll be able to help you in the kitchen, but rest assured there are ways to help for even the youngest of toddlers! When making sugar cookie dough from scratch, you can have kids help measure out ingredients, dump them in the bowl and stir by hand. When it comes time to decorate, kids do a great job at pressing cookie cutters into the dough and fondant. 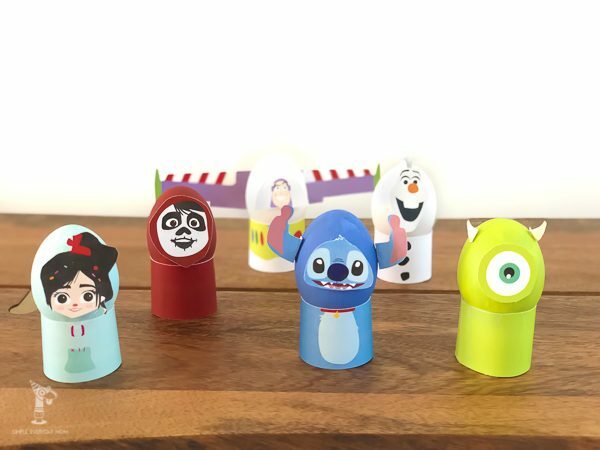 If they work with play dough, they’ll also be good helpers at making the chick’s beaks. Of course, I wouldn’t let young children help using a knife, but they can place all the fondant pieces on top of the buttercream frosting. 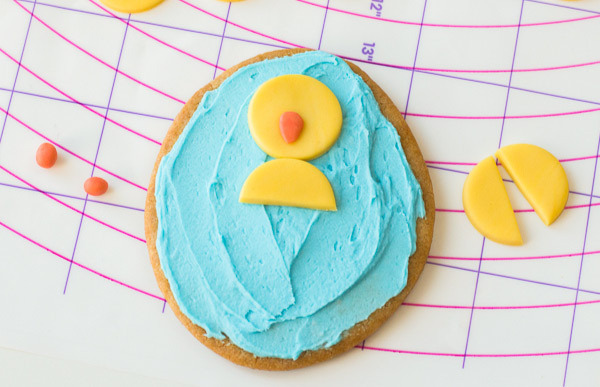 Gather the kids around the kitchen to decorate these easy chick Easter cookies! Make your homemade sugar cookie dough or stick use store bought dough to shorten your time in the kitchen. Bake according to the direction and let the egg cookies cool completely. Make the buttercream frosting by using a mixer to beat together the butter, icing sugar and milk. 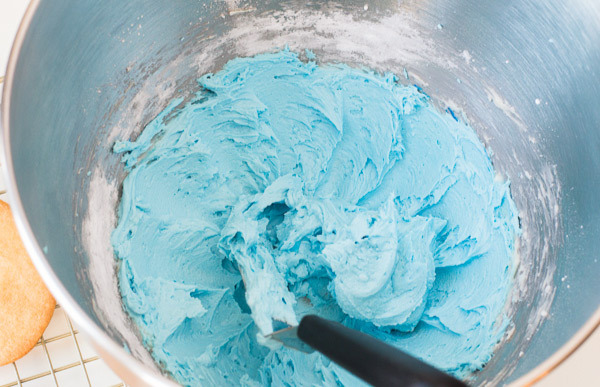 Once all the ingredients are blended together and smooth, add the blue food coloring until the icing is your preferred shade of blue. 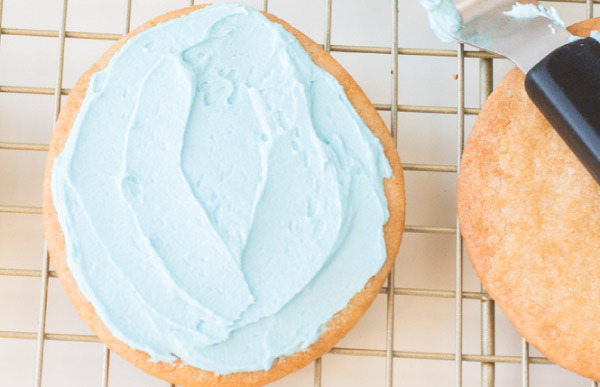 Use an offset spatular to frost the cookies. 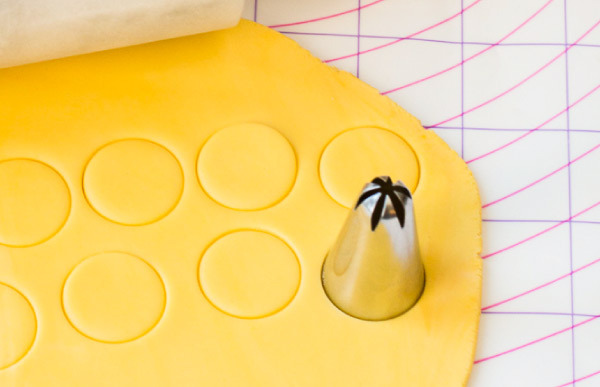 Roll out the yellow fondant until it's about 1/4" thick. 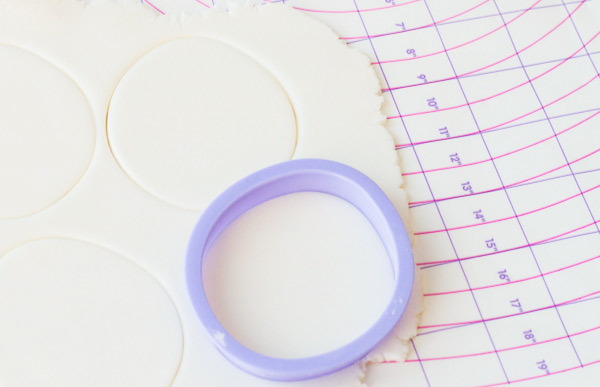 Use the bottom of a large icing tip (about 1" diameter) to cut out 18 circles from the fondant. Cut 6 of the yellow circles in half. 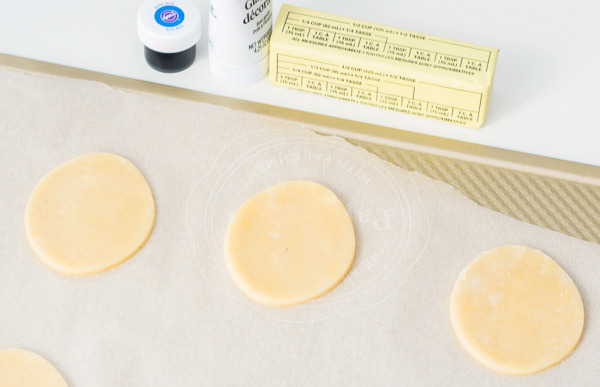 Place one of the fondant circles towards the top of your cookie. This will be the chick's head. 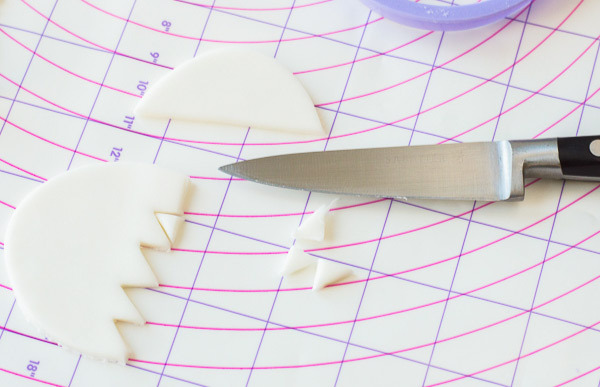 Place a fondant half circle right below the head. This will be the chick's body. Using the orange fondant, roll out 12 small spheres. These will be your chick's beak. Flatten each of the spheres and point the end of one side. Press one of these beaks in the center of each chick's head. 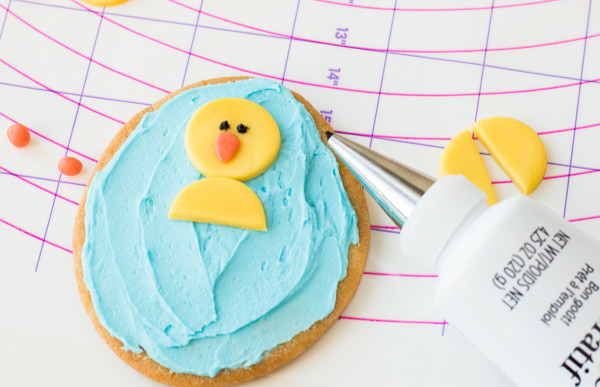 Use the black icing in a tube to make two small circles for the chick's eyes. Roll out the white fondant so it's about 1/4" thick. Using the same egg shaped cookie cutter you used to make your sugar cookies, cut out 12 egg shapes from the white fondant. Use a pairing knife to cut about 1/3 of the white fondant egg top off. 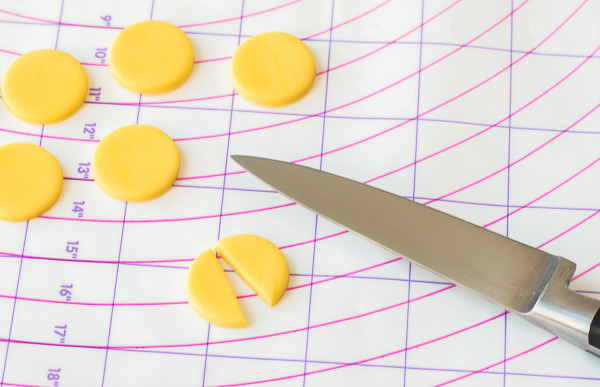 Cut small triangles out of the larger end of the fondant egg to represent the broken shell. Place the broken shell on top of the chick's body. 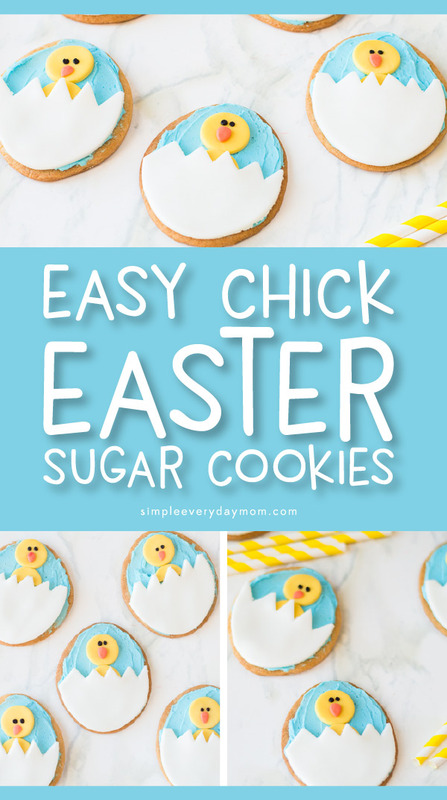 These sugar cookies are a fun and delicious way to get the whole family enjoying the Easter season. If you want to take this activity to the next level, wrap some up on a plate to give to friends, family and neighbors to teach your kids all about service to others. No matter what you do with these cookies, the memories of making them as family will last a lifetime!